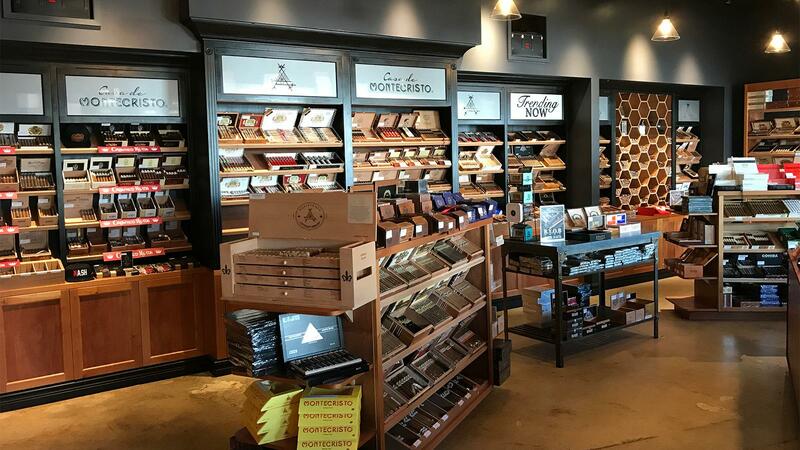 Casa de Montecristo Nashville's humidor offers about 360 cigar brands. If you’re wanting to find a great place to visit in Nashville, the city is not without options. The activities found on the legendary Lower Broadway, with its robust selection of shops, restaurants, and live music, could fill up an entire evening by itself. But the city’s glitz and glamour is really for tourists, and many natives avoid such areas altogether. One looking to “drink like a local” is better off going somewhere else. 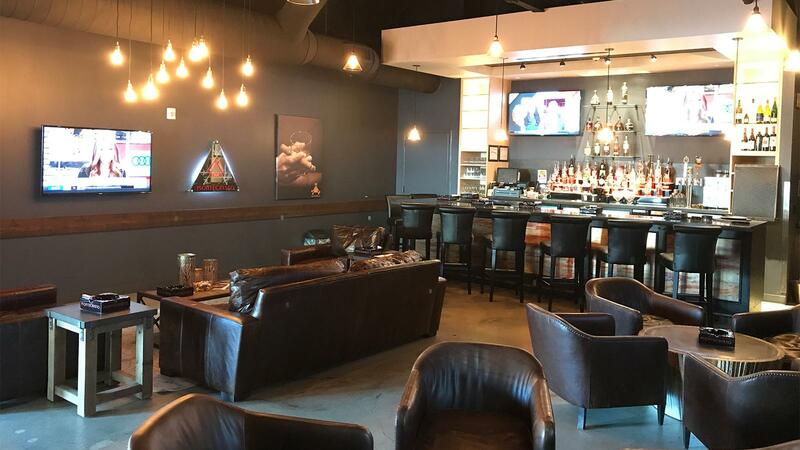 Just a few blocks over in The Gulch on 9th Avenue, tucked in what appears to be a repurposed industrial area, sits your secluded pocket of the universe: the cigar-friendly Casa de Montecristo. Neither a place to be seen nor a particularly big space to move around, Casa’s 59-seat insides offer something that few local whistle-wetters can replicate: a unique intimacy where smoking is not only allowed, but encouraged. The bar at Casa de Montecristo Nashville offers beer and a generous list of spirits, including Bourbon and Scotch. Newsom shares that Casa de Montecristo works because of a high demand for new places to enjoy tobacco. Add to that mix conducive smoking laws, and it’s no wonder that almost all 30 humidified cedar lockers are spoken for before May’s anniversary of their second year in business. It’s an interesting scene, and what you get really depends on when you get there. What vibes like a select club earlier in the day can ramp up to higher energy if there’s a ball game playing or a show going on. But the casual clientele mingle effortlessly, whether the space is the laid-back lounge on Sunday through Thursday or the bar it becomes on Friday and Saturday nights. 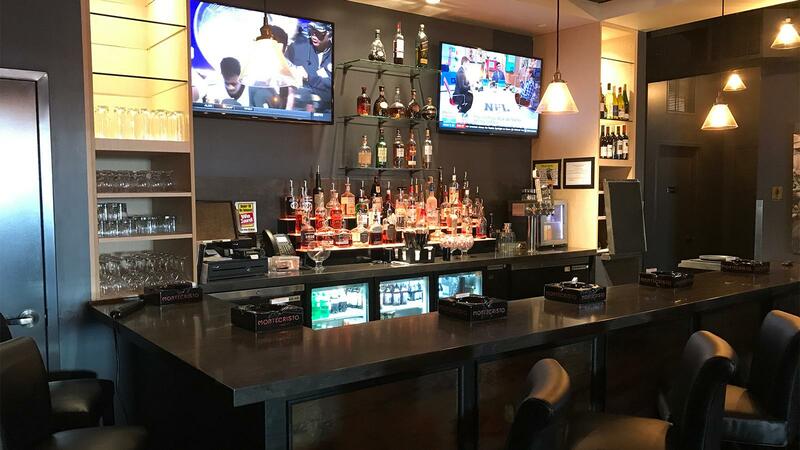 Cigar events are held at the establishment, and while Music Row’s proximity does offer an occasional country artist, Rudy’s Jazz Room spillover patrons have turned Casa into a second stop for the genre. Casa’s comfortable layout makes all of this possible. The entrance, which directly faces a humidor of about 360 cigar brands separates an actual lounge with cushy furniture and generous window space looking out the patio. Veering left, the bar trades windows for subdued lighting. Casa de Montecristo Nashville's lounge has ample seating and a handful of TVs. There are only a handful of screens in the whole place, which is nice. What’s more, the lounge’s filtration system makes it very easy for non-smokers to enjoy their time. You really have to make an effort to notice your patrons smoking. At the time of writing, Casa de Montecristo is updating everything. Bar snacks of dates, cheeses and a charcuterie board will share real estate with a cordials and aperitifs selection along with a Happy Hour menu and a breakdown of cocktails. Current beer offerings on their tap handles are primed for specific requests like Memphis’s Wiseacre Brewing or the Tennessee Brew Works citrusy 1927 IPA. For spirits, there’s a generous offering of gin, Tequila, mezcal, Cognac and brandy drinks, but Bourbon and Scotch reign supreme.This translates to the wine selection as well, as Cooper & Thief, a Bourbon barrel-aged wine, is one of the better sellers. Recommended from the older menu for its pulpy, fuller twist on the familiar concoction is the smoke-infused Ol’ Smoky Old Fashioned, which is maturely sweeter than average and a repeatable signature drink. Judge’s verdict: Casa de Montecristo is a great place to grab a seat, a smoke and a sip of something tasty when you’re in downtown Nashville. What’s more is that it’s part of a chain that manages to feel very local, despite avoiding the twangful pageantry heard just down the road. Well worth putting on the itinerary if you want to unwind. Open Monday through Thursday: 11 a.m. to 11 p.m.
Friday through Saturday: 11 a.m. to 1 a.m.